Whale watching in Australia and New Zealand has become a passion for many people in recent years. Both are home to numerous species of whales and dolphins. There are now established whale-watching tour operators in many coastal towns making it much easier to observe these magnificent animals in their natural habitat. This definitive easy-to-follow guide is for all adventurous holiday-makers, amateur naturalists and students who want to take a closer and well-informed look at these fascinating mammals. 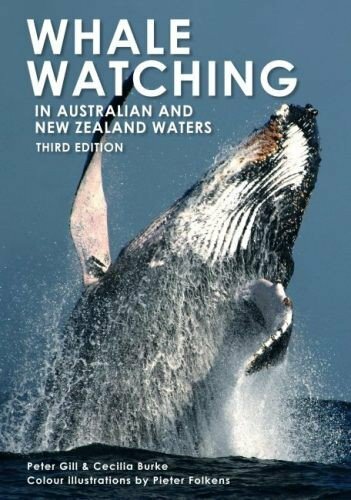 It includes: the ecology and behaviour of whales and dolphins; interesting insights into whaling history, conservation and research; identification notes, accompanied by detailed colour illustrations and locator maps for each species; a comprehensive guide to sites, highlighting the best places to see whales; a listing of whale-watching operators, and much more. Peter Gill has been involved in whale research since 1983 and is currently studying blue whale ecology off the coast of Victoria and South Australia. He is the author of several books about whales and many scientific papers and magazine articles. Cecilia Burke is a photographer and journalist with a special interest in wildlife and conservation issues.